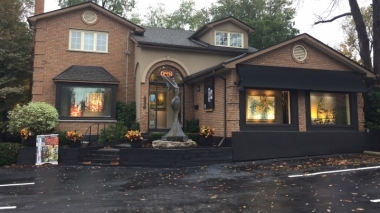 Creations Art Gallery & Framing, Ancaster, Ontario. Information, Photos and Reviews. Since 1985 - Creations Art Gallery & Framing, has offered, in-home or office art consultation, custom framing, installation, restoration and appraisals. Art lessons and idea for small intimate events. Creations Art Gallery is proud of its wide selection of works by Canadian and international artists representing an equally broad variety of styles. The Collection has been created to present works by a number of emerging and established artists which will appeal to the discerning individual tastes. Our highly praised framing service includes a wide selection of mats and frames so that your choice will enhance the ambience of your home or office. Second generation business, in the village of Ancaster. Nobody has reviewed Creations Art Gallery & Framing yet, Be the first. You are submitting a booking enquiry. Creations Art Gallery & Framing will then contact you by email with details of availability and prices.